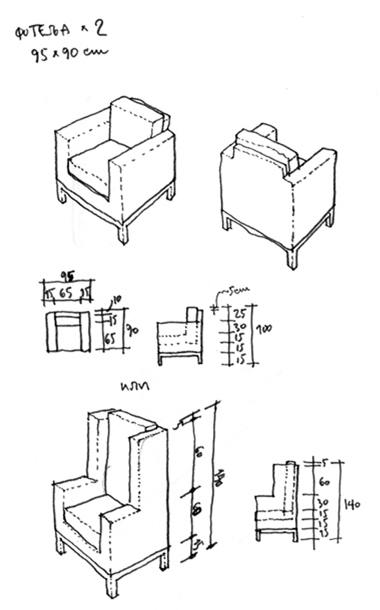 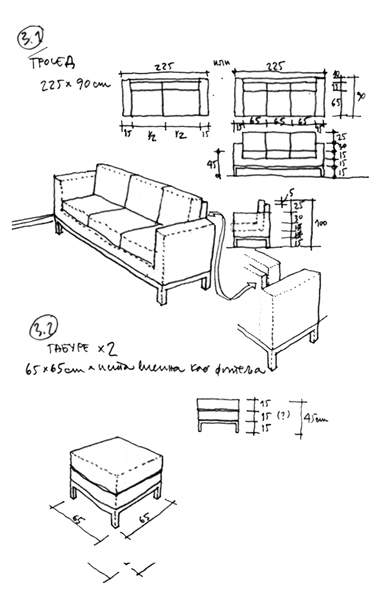 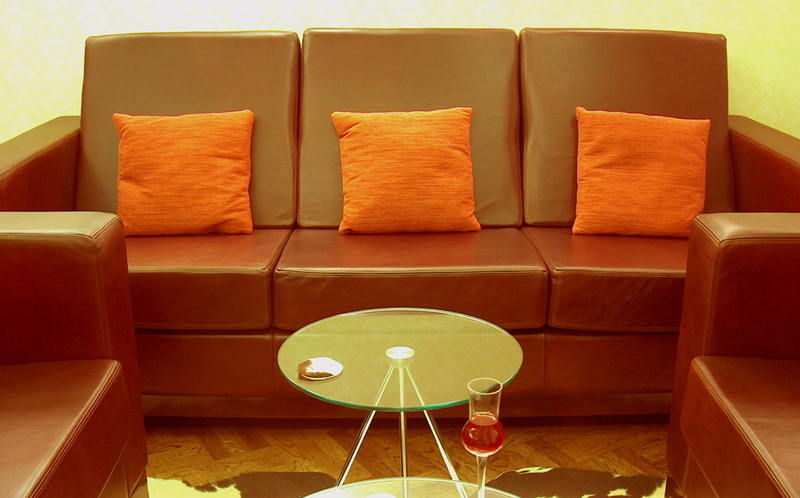 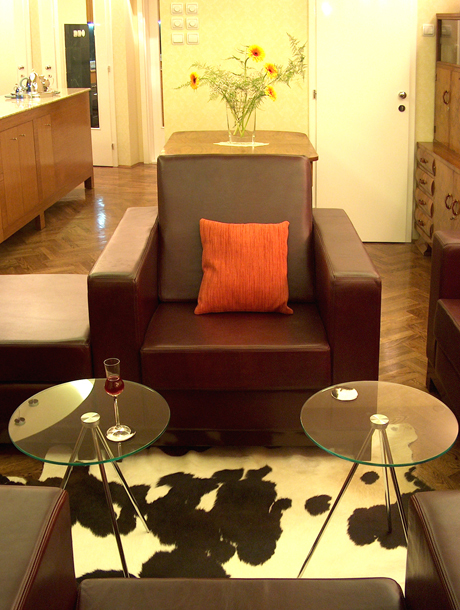 “Luisa” leather seating set consists of a three-seat sofa, two armchairs and two ottomans. 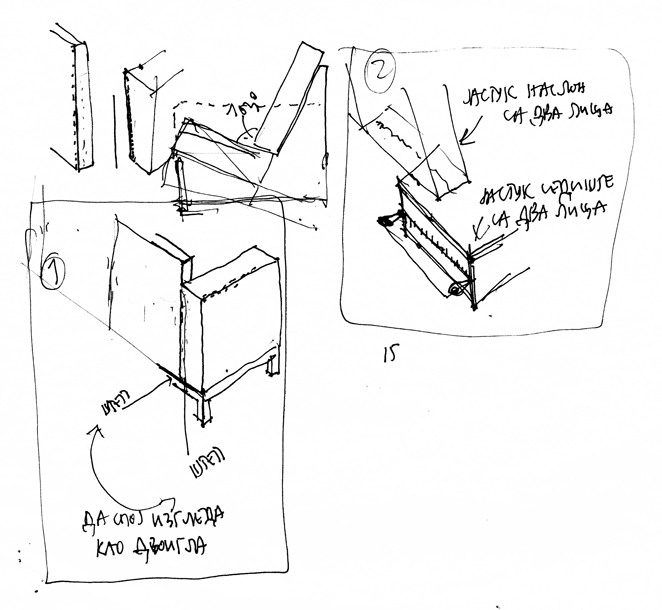 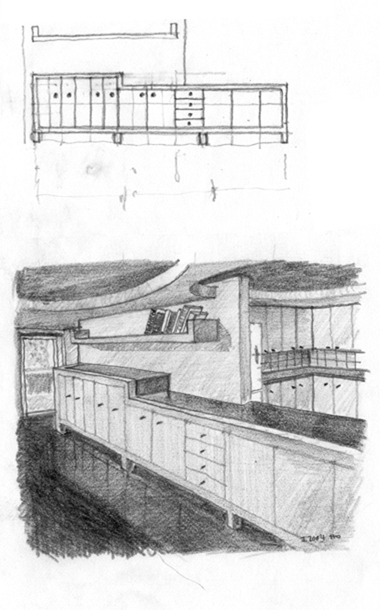 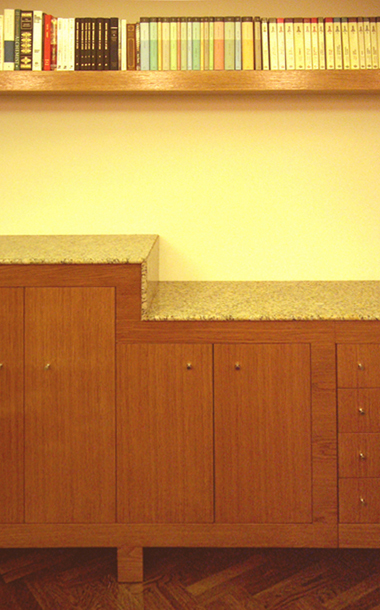 Modern design features pure and simple form, high quality natural materials and domestic fabrication. 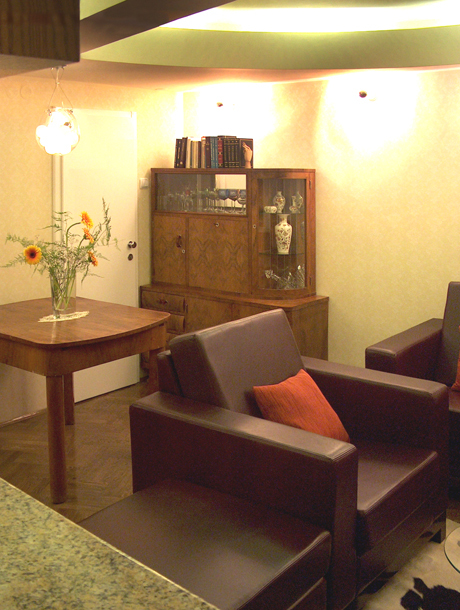 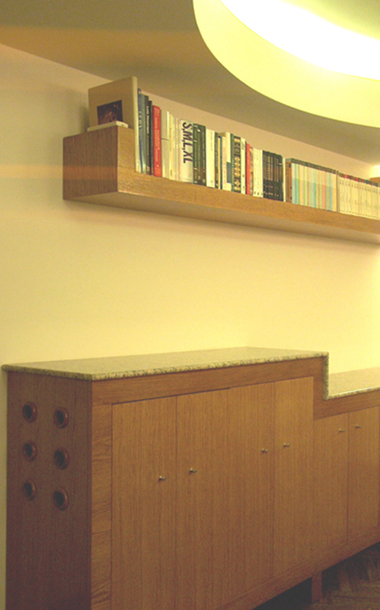 Multifunctional piece of furniture: counter-TV stand- media credenza with bookshelf is also designed in this apartment. 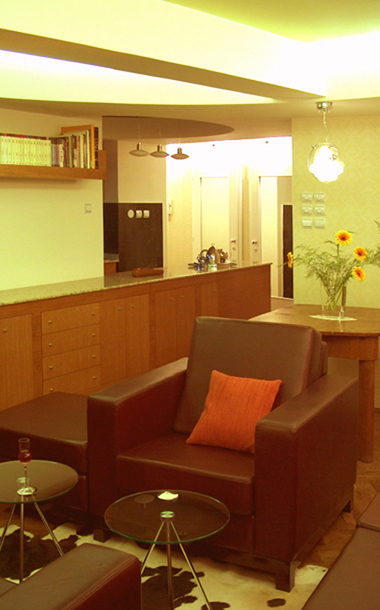 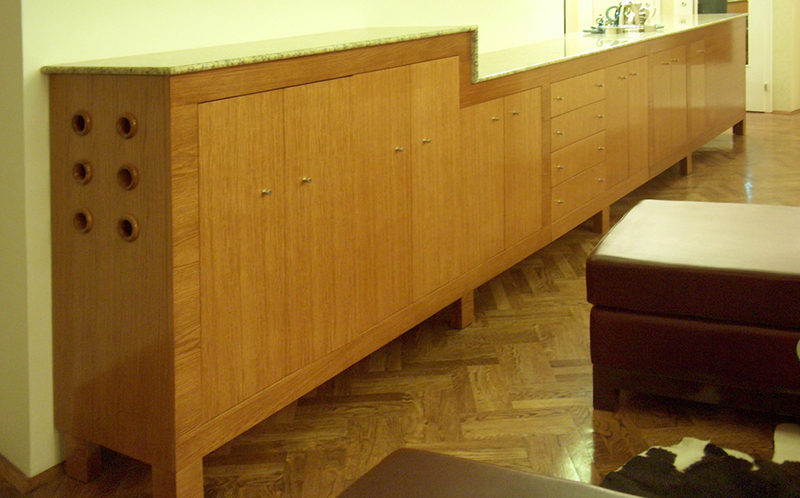 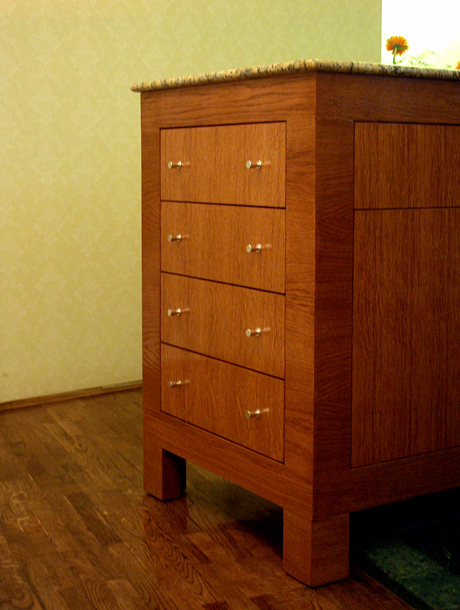 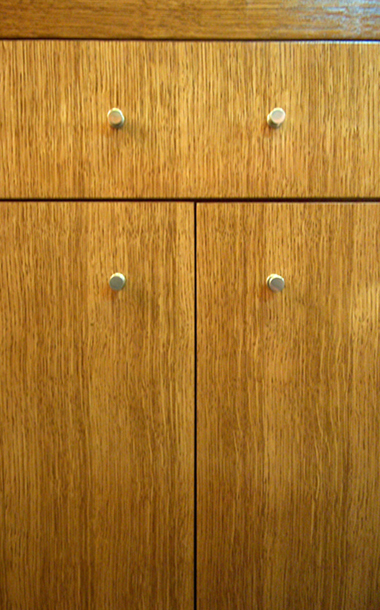 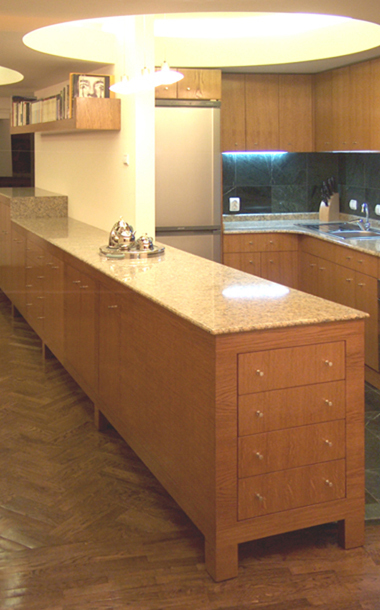 Furniture surfaces are made of oak veneer, while the worktop is made of granite.